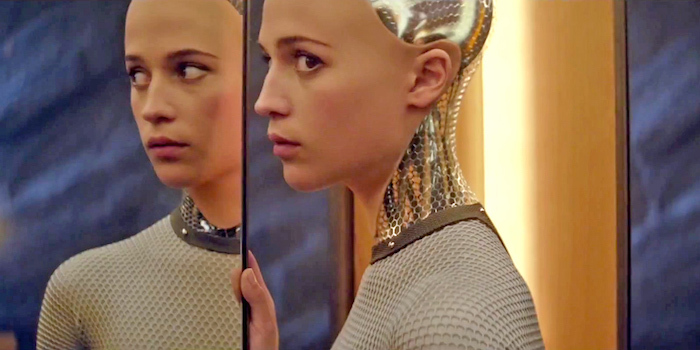 Friday, April 24, 2015 marked the official theatrical release of the highly anticipated sci-fi thriller Ex Machina. Nerd Nation Magazine was in attendance for the advance press screening two nights earlier on the previous Wednesday, courtesy of A24 Films and Regal Cinemas. 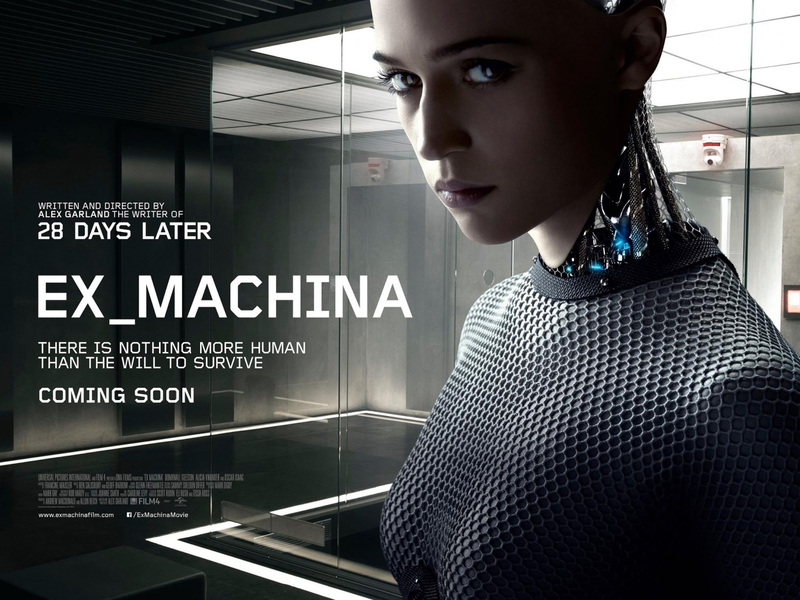 Ex Machina marks the directorial debut of acclaimed novelist and screenwriter Alex Garland (28 Days Later, Dredd) although with a resume like that one could hardly call this a freshman effort, but I digress. But how does the actual film stack up? Read on to find out more! Ex Machina tells the story of Caleb Smith (Domhnall Gleeson), a young talented programmer working in New York for Bluebook, a very popular search engine company (with very obvious parallels to that real-life search engine you’re thinking of). After doing well on a test, he is chosen by a company lottery to meet and visit the company’s CEO, Nathan Bateman (Oscar Issac), at his secluded house in the mountains. Upon meeting Nathan, Caleb learns that the reclusive (and rather alcoholic) CEO/programmer/scientist actually wants Caleb to spend the week performing a Turing Test on a highly advanced humanoid Artificial Intelligence (or A.I.) android known as “Ava” (Alicia Vikander)- however, unlike typical Turing Tests, Nathan is deliberately telling Caleb that he is interacting with an A.I. – in hopes of proving that his A.I. is truly a perfect living, sentient being. Upon meeting Ava, Caleb is instantly fascinated by her uncanny grasp of language and her ability to learn. During his second visit/test of Ava, Caleb admits to her that he is there to test Ava, and shortly after, the power goes out. A backup generator restores some of the power, though the cameras and audio feeds that Nathan is using to monitor the two of them are disabled. Ava uses this opportunity to warn Caleb that Nathan is not to be trusted. Over the next several days (or “sessions”) with Ava, Caleb comes to learn that Ava is the one controlling the mysterious power outages, and each time they are no longer being watched reveals more and more about what is really going on. After learning of Ava’s impending fate of being deactivated/reprogrammed if she fails the test, the two work together in an attempt to free her. But, what is really going on? And more importantly, what/who is really being tested here? As young Caleb quickly finds out, there is way more going on behind the scenes that he may not be aware of. Typically, I would attempt to explain more, but for fear of spoiling anything, I’ll simply leave it all at this. Want to know more? You’ll just have to go see it (or send me an email and ask nicely). 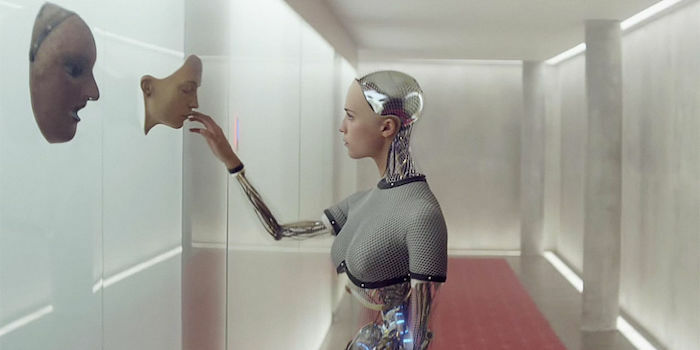 Chock full of plot twists, suspense, and outstanding story and character development, Ex Machina relies heavily on its excellent writing, without leaning on it completely. The camerawork, visual effects, and overall “otherworldly” atmosphere of the film do a superb job of really suspending the disbelief and drawing you in, as it happily takes you farther and farther down the rabbit hole. So much so, that even this old, jaded writer found himself fooled on more than one occasion. 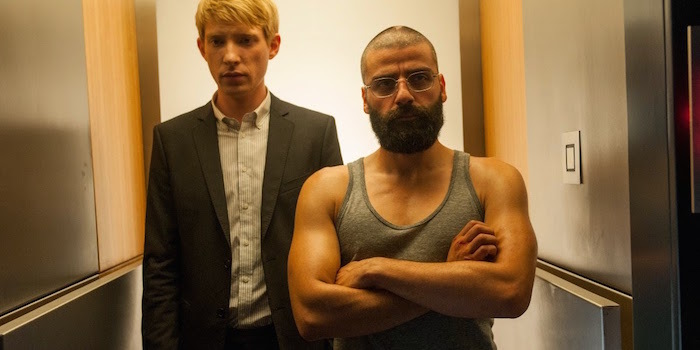 Overall, Ex Machina is exactly what has been lacking in good science fiction for quite some time. It’s brilliantly written, brilliantly crafted, and brilliantly executed. It never once dumbs itself down for the “lowest common denominator” audience, never once goes too cheesy or unbelievable, and harkens back to the age of sci-fi psychological thrillers that many of us feared would never return on a grand stage again.